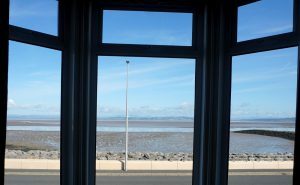 Holiday Flat 2 is situated on the second floor of our self catering holiday accommodation in Morecambe; it has 2 flights of stairs and is suitable for a family of up to 5 people. The flat is large fully self contained and occupies one full floor which means you get separate rooms which gives you more space inside the flat. 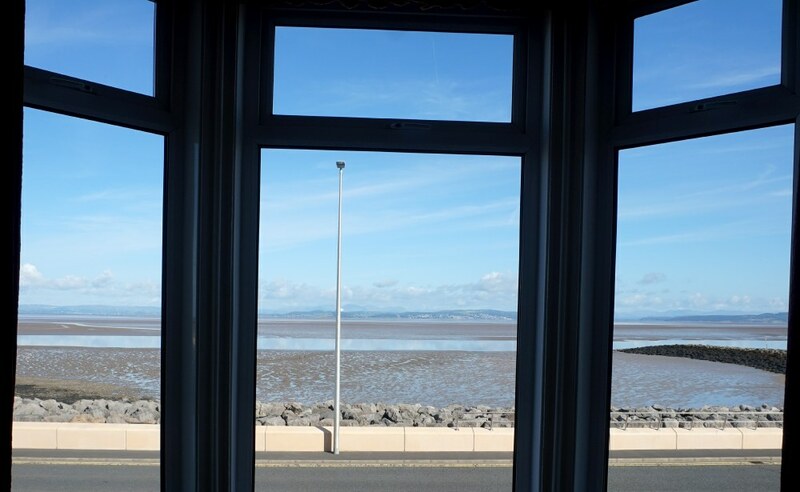 One of the best things about Flat 2 is the stunning sea views you get from the bay window in the living room and from the window in the kitchen. 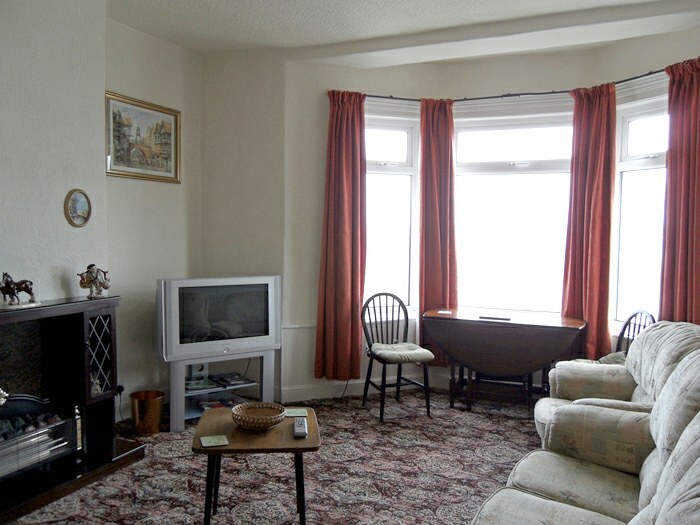 In the lounge it has a Freeview TV, 3 piece settee and 2 single arm chairs and an electric fire which gives this room a homely feeling. 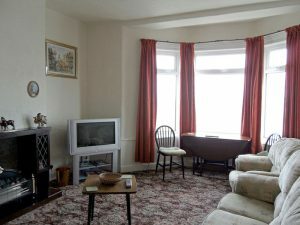 The large lounge has a sea view from the bay window which is a perfect place to relax and watch the tide come in and out or to do bird watching. 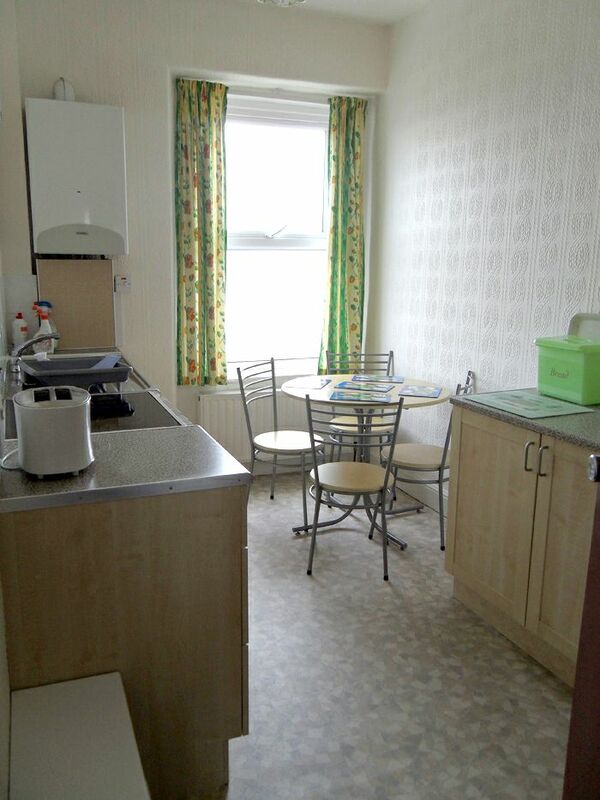 There is Gas Central heating throughout the holiday flat with a thermostat control. It also has double glazed windows throughout the holiday flat. 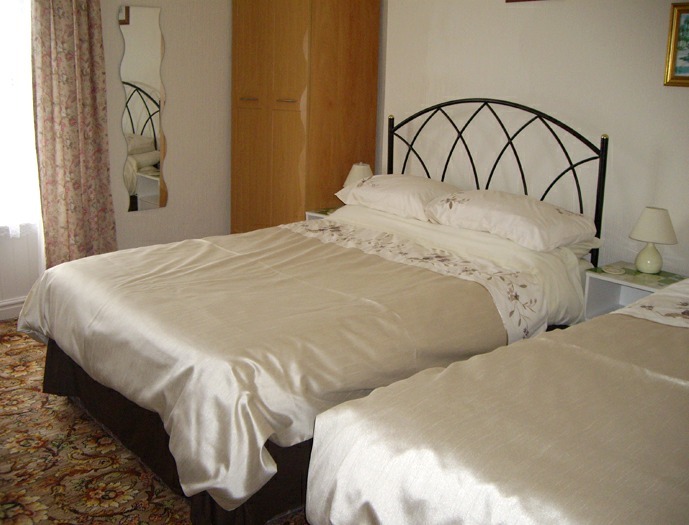 The master bedroom is very spacious and has a double and single bed with bed linen provided and beds made up for your arrival. There is plenty of space provided with a wardrobe and drawers to keep your clothes in. There is also a pull down double bed in the living room. We also provide you with an iron and ironing board. The Bathroom has a shower, toilet and wash-hand basin. We do not provide towels and hand towels. The Kitchen has a sea view of Morecambe Bay and the Lake District Hills, for its facilities it has a full sized Electric Cooker, Fridge, Kettle, Microwave and Toaster. We also provide you with a table and chairs in the Kitchen so you can eat whilst looking at the magnificent view. The flat is kept to a high standard. We are Non-smoking premises which provides you with a safe and healthy environment for you and your family. We have pound coin operated meters for gas and electricity as we believe you should only have to pay for what you use. The Holiday Flat also has its own garage to the rear of the property, ideal for your car or storing your bike.